Why pay more for less? These spacious and charming homes will make you and your wallet happy. According to Zillow’s mortgage calculator, a 20-percent down payment on a 30-year fixed loan at a 3.836-percent interest rate will allow you to purchase a home for roughly $1,200 a month. While that price may seem unbelievable, your dream home may be closer than you think. These 10 homes are listed in some of the largest metro areas at an affordable cost. Photo from listing on Zillow. 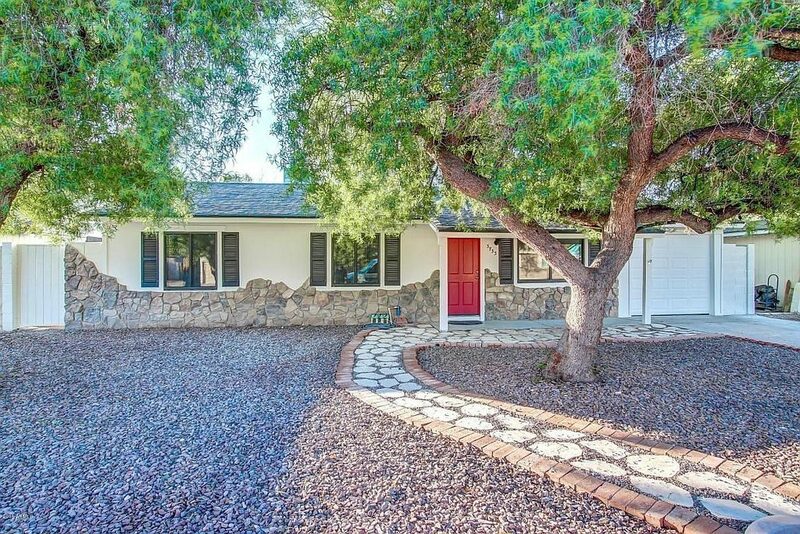 Walk up a stone-paved pathway to this artistically styled home. With 3 bedrooms and 2 baths, you’ll be living large while spending less. The covered patio is perfect for entertaining guests, and the fenced backyard provides the perfect amount of privacy. French doors lead into the open kitchen with granite countertops, dark wood cabinetry and stainless steel appliances. All the windows are double insulated for sound and weather, and wood flooring stretches throughout the home, adding a nice finishing touch. See more homes for sale in Phoenix. 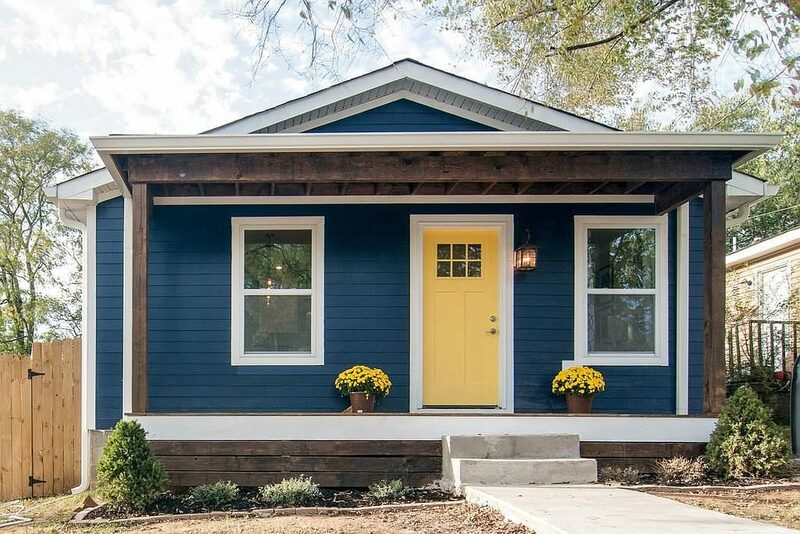 This 2-bedroom, 1-bath craftsman bungalow provides modern upgrades while maintaining a retro feel. From the vintage clawfoot tub in the bathroom to the glass-enclosed built-in cabinetry with chrome fixtures in the kitchen, every detail is thoughtful crafted to create a calm and relaxing atmosphere. Cool blue tones accent the walls, while hardwood flooring spans from room to room. You’ll also have 10-foot ceilings and built-in shelving in the bath and dining areas, allowing you to easily store essentials without sacrificing any space. Discover more Salt Lake City homes. 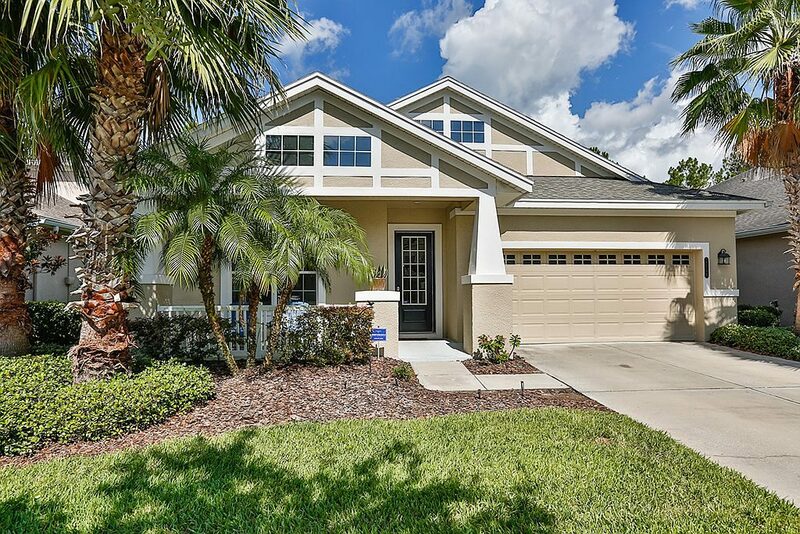 This Sunshine State 4-bedroom, 2-bath is a great value and size. With 5,941 square feet of space, including a large great room and island kitchen, it’s perfect for entertaining family and friends. Custom French doors lead from the family room out to a screened lanai. In the backyard, you’ll also have a spacious deck that overlooks a conservation area, providing a tranquil setting as well as privacy from neighbors. The master bedroom features ample closet space and a tray ceiling. The spa-like en suite bathroom boasts a garden soaking tub, walk-in shower and double sinks. Part of a gated community, this home also offers maintenance-free living, and a community pool and fitness center. Find similar homes in Tampa. This beautiful 4-bedroom, 3-bath three-story farmhouse features a stunning wraparound porch where you can sit and enjoy the park-like grounds. Double-hung windows line each room, providing ample light throughout the home. The island-equipped kitchen overlooks the formal dining area, which features hardwood flooring and a modern chandelier. The second-floor front bedroom provides views of the meadow across the street, and upstairs on the third floor is another bedroom and game area. The basement works as a finished family room with backyard access, and also offers a huge storage area and utility room. See more Baltimore homes for sale. This 5-bedroom, 4-bath definitely takes the cake as one of the largest homes for the buck. The craftsman-style design offers a covered front porch and second-floor balcony, as well as a two-car garage. A fireplace and chandelier accent the living room, while the adjacent kitchen features a butler’s pantry, an island breakfast bar, and a full set of stainless steel appliances. The master suite is not only spacious, but also well-lit by a bay window. Find the utmost relaxation in the attached master bath, which features a large tub, glass-enclosed shower and dual sinks. 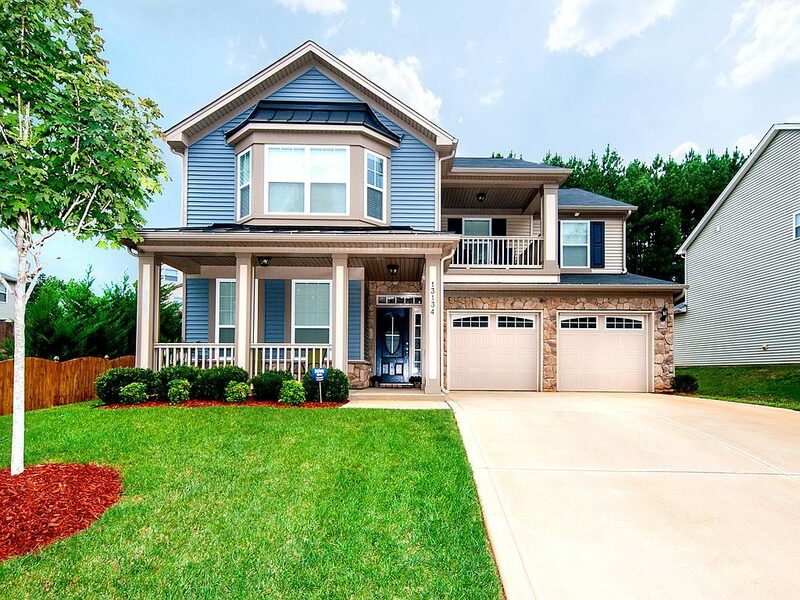 See more listings in Charlotte. 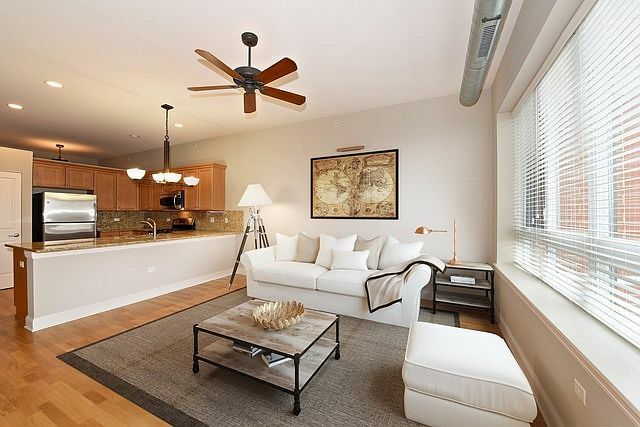 Maintain your urban roots in this 1-bedroom, 1-bath penthouse. The open-concept kitchen features a full stainless steel appliance package and granite countertops. Hardwood flooring accents the common areas, and lighted ceiling fans provide year-round comfort in every room. Along with the convenience of an in-unit washer and dryer, you’ll also have access to an indoor, heated parking garage with storage space. See more Burr Ridge homes for sale. This 2-bedroom, 1-bath home’s interior features dark wood flooring and a neutral color scheme throughout. The spacious kitchen overlooks a cozy sitting area where you can relax by the fireplace. Step through the French doors out onto the backyard patio. This home also offers a tidy lawn and two-car garage. 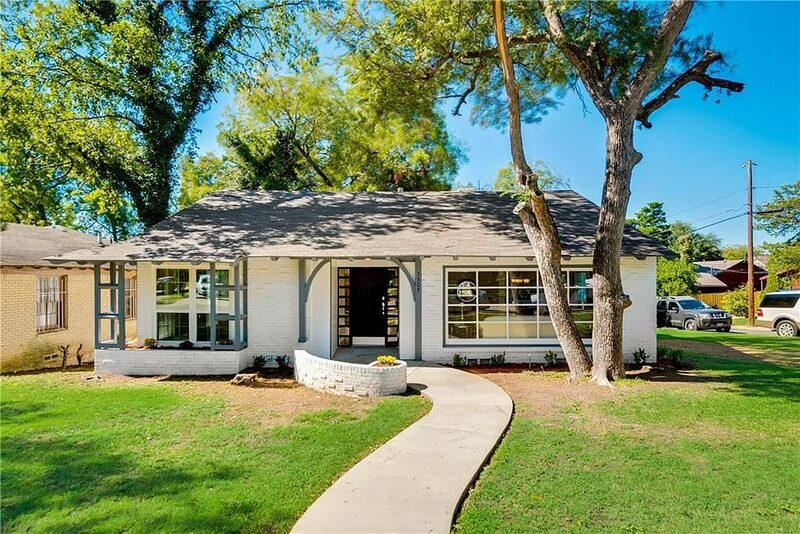 View more homes for sale in Dallas. This 3-bedroom, 1-bath home offers classic architecture and vibrant charm. From original woodwork to a built-in buffet and stained glass windows, stunning detail graces every square foot. At the front of the home is a relaxing sun room, which leads into the living and dining area. The fully equipped kitchen sits around the corner and features ample cabinet space, as well as tile flooring. All the bedrooms are located on the second floor away from the common areas, and out back is a detached two-car garage. 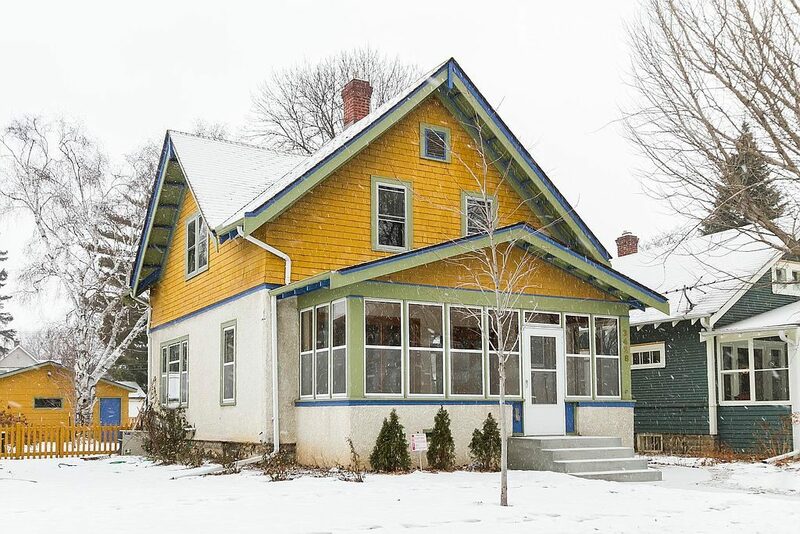 Discover more Minneapolis homes for sale. With an open floor plan, a deck and fenced-in backyard, this home is great for families. 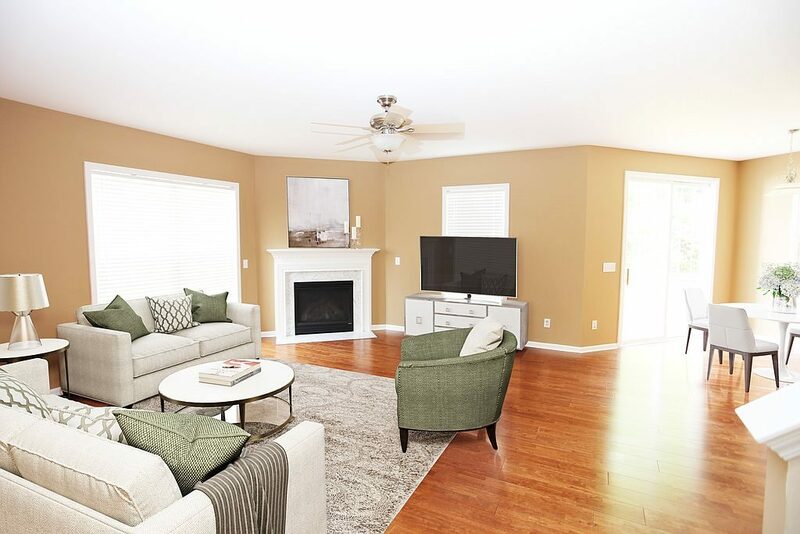 Each of the four bedrooms is carpeted, and beautiful hardwood flooring spans from the living room to kitchen, which features a gooseneck faucet, ample cabinet space and a granite-topped breakfast bar. The loft is the perfect size for a playroom or office space, and the master bedroom includes a sitting area and huge walk-in closet. Search for more homes in Raleigh. 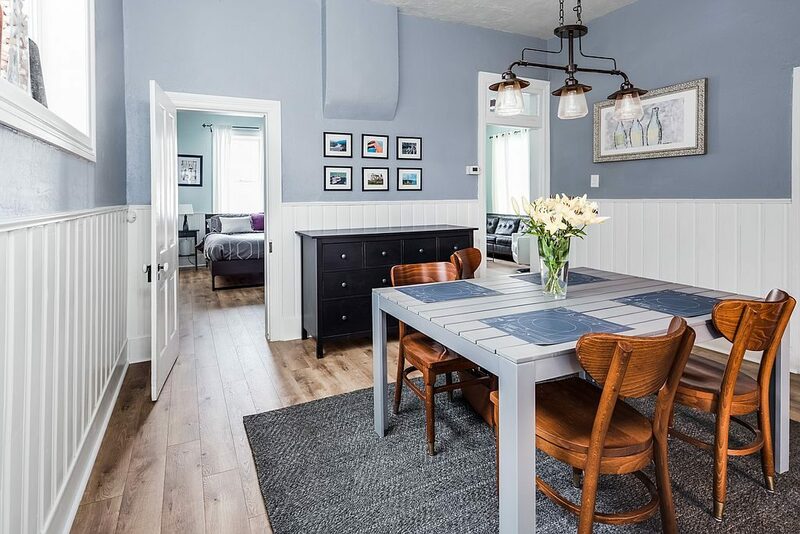 This renovated 2-bedroom, 2-bath possesses a welcoming charm all the way from the exterior color scheme to the interior design details. 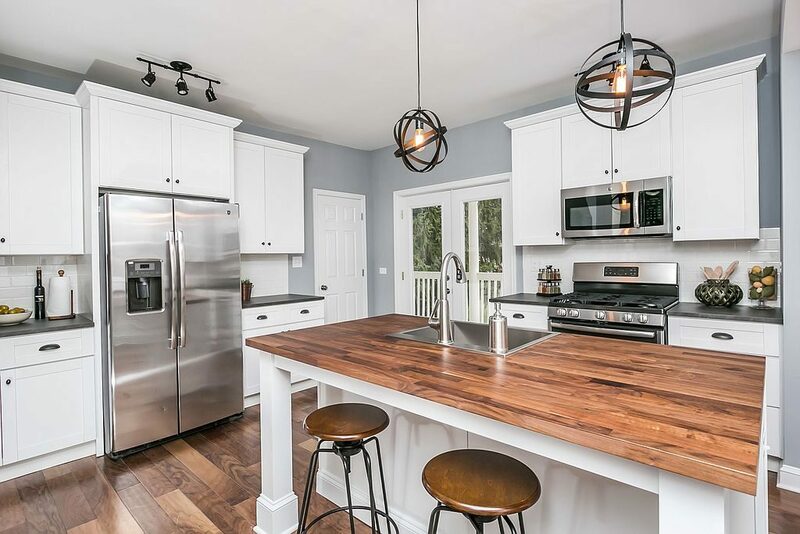 The living and kitchen area are open and airy, with rich hardwood flooring connecting the two rooms. The white tile backsplash complements the wood-topped island and black countertops in the kitchen, where you’ll also have a pantry and wood shelving for essentials. The bathrooms feature chrome fixtures, and the master bath includes a glass enclosed shower with rain showerhead. Find your next home in Nashville. Ready to start home shopping? See our Home Buyers Guide for advice and resources.